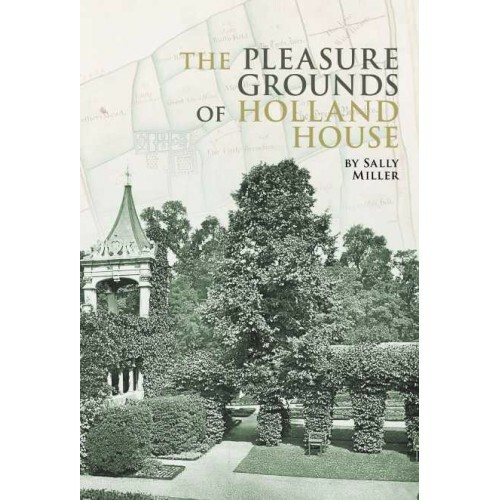 This book by Sally Miller, was commissioned by The Friends as a companion volume to The Families of Holland House. The Holland House estate was created in 1591, covering about 500 acres from what is now Holland Park Avenue almost to the Thames. 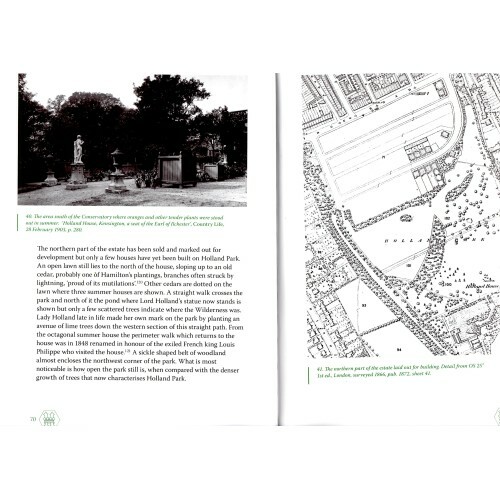 Little had been written about the park and pleasure grounds, but Sally Miller discovered records to show that they were laid out by owners with taste as well as money, who were familiar with the finest gardens in England. Changing landscape fashions down the centuries were reflected in the gardens of Holland House. This book uses the surviving evidence to create impressions of the gardens as they would have been seen and experienced in each of the four centuries of their existence. It adds a new dimension for those who visit and enjoy Holland Park today; there are still places to stand and imagine how the pleasure gardens of Holland House once looked. Sally Miller studied for an MA in garden history from Birkbeck College in her retirement and is now a professional garden historian researching, writing and lecturing on garden and landscape history. She contributes both to the work of the Hampshire Gardens Trust and the London Parks and Gardens Trust. She has previously published The History of Bishops Park and articles in Garden History and the London Gardener. The Pleasure Grounds of Holland House is a paperback of 112 pages measuring 243mm x 169mm, with 60 mono and colour images.